Fellow fanatics, mark your calendars! Pacific City, Oregon (October 11, 2017) – Pelican Brewing Company savors the change of seasons with three events celebrating their popular beer cuisine and award-winning beer: coming soon are Playful, Pelican’s fall Brewers’ Dinner, beer pairing and interactive dinner theater on Saturday, October 21; and Take Flight, a guided flight of Pelican’s acclaimed barrel-aged series on Saturday, November 11th at the Pacific City brewpub. Take Flight Cannon Beach will take place at the Cannon Beach brewpub on Sunday, November 12. Playful offers beer cuisine fanatics an incredible six-course menu of fresh, local offerings paired with Pelican’s award-winning beers. Pelican brewers will be on-hand to discuss the pairings and beer, and the dinner features a playful interactive theater experience. Tickets are $90 and must be purchased in advance. Twenty-one and over, please. The menu features fare like Dungeness crab with heirloom tomato, asparagus, tarragon, and sea salt, paired with Kiwanda Cream Ale; zucchini primavera, garlic confiture, buratta, roasted red pepper coulis, almond oil, and white truffle salt, paired with Sea’N Red, Pelican’s new Irish-style Red Ale; and crispy polenta with tomato caper, hazelnut pesto, and chimichurri sauces, paired with Pelican Saison to name a few. Take Flight escorts barrel-aged beer fans on a guided flight of Pelican’s current barrel-aged lineup including Captain of the Coast, Queen of Hearts, Father of All Tsunamis and longtime favorite, Mother of All Storms—all paired with appetizers to evoke the unique flavors of both beer and food. 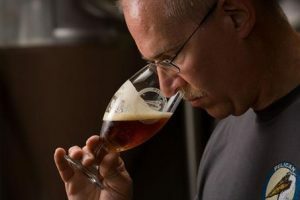 Pelican’s founding brewmaster, Darron Welch, will talk about the inspiration and unique character and profile of each beer and how the beers pair with the perfect bites. Tickets are $45 and must be purchased in advance to reserve your spot. Twenty-one and over, please. 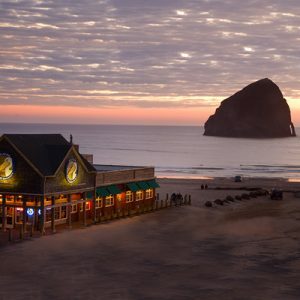 Pelican Brewing Company was founded in 1996 by Jeff Schons and Mary Jones in Pacific City with Oregon’s only oceanfront brewpub. 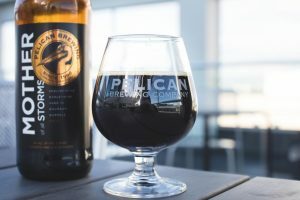 Celebrating its 20th year, the brewing company has created masterpieces like Kiwanda Cream Ale, India Pelican Ale, MacPelican’s Scottish Ale, Tsunami Stout and Doryman’s Dark. With the vision, creativity and brewing expertise of founding brewmaster Darron Welch, Pelican Brewing has won over 450 awards including a Silver Medal at the 2016 Great American Beer Festival, 2014 World Beer Cup© Champion Small Brewing Company and Brewmaster of the Year. 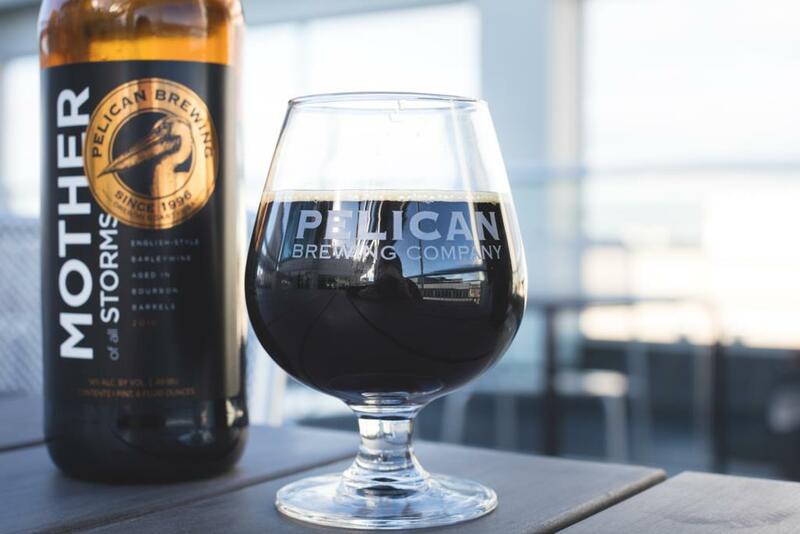 Pelican Brewing currently distributes 22oz bottles, 12oz bottles in 6-packs, a new mixed 12-pack, and 50 liter and 20 liter kegs via a network of distributors in Oregon, Washington, Idaho, Utah, and Hawaii. The company operates brewing and brewpub facilities in Pacific City, Tillamook and Cannon Beach.